I have been wanting to make this dessert for a long time just because it’s sooo goood and you can’t find it everywhere! I have some memories of eating this flan type of cake back in France and since then I had only a few occasion to eat it here. Making a clafoutis is very easy but very messy. I bought fresh cherries so I had to remove all the pits! This was the funny/messy experience, I don’t have a pit remover so I checked online to find the best way to do it. After trying with my bare hands and a paper clip, I finally started using a chop stick to get those pits outta there. Just “stab the cherry”! I am thankful for the lady who posted online “wear gloves when removing the pits”. Even with gloves I had cherry colored fingers for a day… and people probably though I had dirty hands!!! Next time I will double the ingredients amount because it was very flat. Anyway it was still very good! 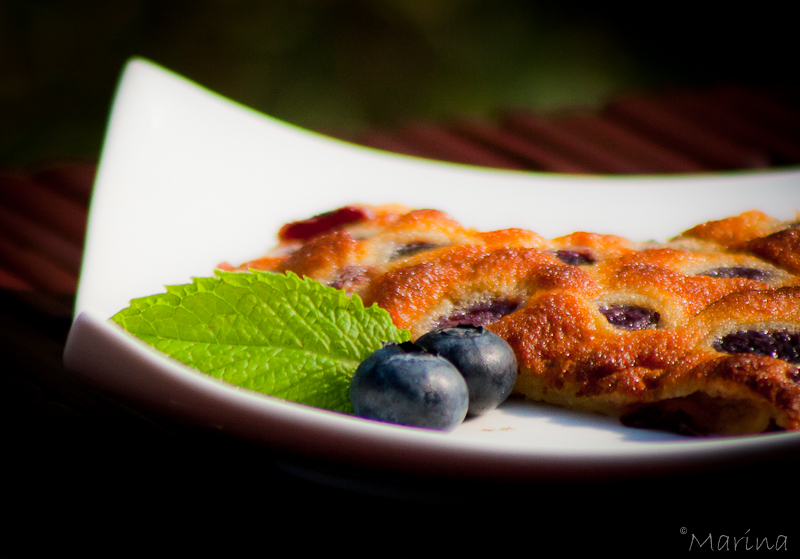 This entry was posted in Fruits and tagged cherry; clafouti; claoutis; cherries; cake; flan. Bookmark the permalink.